Horses are generally considered geriatric when they are 20 years or older and some horses and ponies live into their 30’s. As veterinary medicine advances we are finding that many horses, like people, can live a very long and healthy life, continuing to exercise into their later years. We can all recognise some of the physical signs of an older horse- decreased muscling along the topline, a swayback appearance, greying of the hair coat etc, but sometimes the challenge is differentiating between normal age-related changes and disease-related changes. More recently, especially since the discovery of PPID (cushings) we are finding that changes that we put down to old age in the past, are actually due to a disease that is treatable, resulting in more horses having a longer and healthier retirement now. The diseases of older horses are often similar to those affecting younger horses, but there are some we see more commonly in the older horse population. These include: PPID, certain types of colic, RAO (COPD/airway allergies), dental/sinus disease and lameness. Pituitary pars intermedia dysfunction (PPID) is considered a disease of older horses, although it has been seen in horses aged 10 or younger. The increased level of ACTH hormone released by the pituitary gland in this disease causes an increased level of cortisol in the body which has a number of effects on the horse. 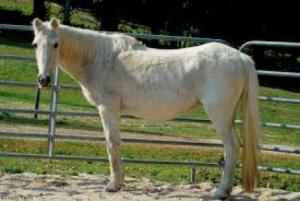 Weight loss and poor muscle tone, laminitis, increased urination and drinking, long curly haircoat and delayed shedding of coat can be commonly seen. Poor immune function resulting in increased risk of and recovery from infection is also a big problem and common infections include hoof abscesses, sinusitis and tooth root infections. Diagnosis is often straight forward and easily achieved with a blood sample and treatment with Pergolide can suppress the excess hormone release resulting in an improvement in many of the symptoms. Large colon impactions and strangulating lipoma of the small intestine are two types of colic that are often seen more frequently in older horses. The quieter lifestyle of the older horse, combined with poorer teeth can increase their risk of impactions. Luckily this type of colic is not often life threatening, but it is unpleasant for the horse being starved and having fluids administered until it resolves. Exercising (if the horse is able), increasing water intake (including soaking the hay) and as much turnout as possible should reduce the risk of impactions happening. Sadly, strangulating lipoma of the small intestine is life threatening and requires surgery to correct or the horse may be put down on welfare grounds. Recurrent airway obstruction is not seen only in older horses, but it is the most common airway disease seen in older horses. The lower airway inflammation that occurs with this disease can often improve significantly with 24hr turnout but where this is not an option it can be a challenge to treat. Aerosolised and systemic steroids and bronchodilators are often prescribed for treatment, but if the horse continues to be exposed to a large amount of allergens, then the allergy can continue to get worse as the horse gets older. Dental disease is very common in the geriatric horse. Waves and steps in the teeth arcades and excessively smooth teeth can all cause problems, as well as tooth loss, periodontal disease (including diastema) and tooth root infections. Sinus infections can also be seen associated with tooth problems. Regular dentistry is vital in older horses to ensure they have the best chance of maintaining their body condition and to reduce any discomfort they may have in their mouth. Lameness is often related to degenerative conditions and can include degenerative joint disease and weakening and degeneration of ligaments eg the suspensory ligaments. Foot abcesses can commonly be seen though, especially in horses with PPID. Anti-inflammatories, regular farriery, joint and hoof supplements and alternative treatments such as acupuncture can all help with this. 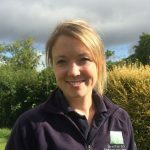 Liz has a keen interest in internal medicine and deals regularly with medical problems in geriatric horses.